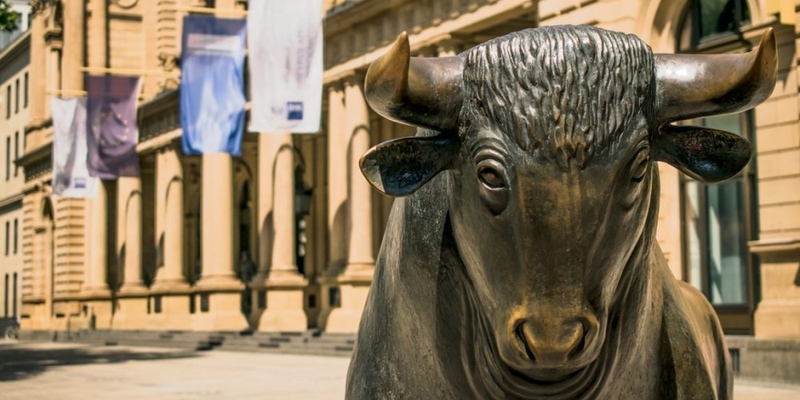 Deutsche Boerse, owner of the Frankfurt Stock Exchange, is considering offering cryptocurrency products, according to a report. The firm, he said, is trying first to understand the volatility of the bitcoin market and making sure clients and regulators are “in line” before moving forward with any offerings, he added. While a move into offering bitcoin products is so far not certain, the exchange has already been active in the blockchain space. Last June, Deutsche Boerse revealed details to CoinDesk about its plan to move the majority of its post-trade services to a blockchain. It said at the time that it was focused on creating a system, using Hyperledger’s open-source Fabric protocol, to transfer securities and move commercial bank money, while still ensuring cross-jurisdictional compliance with regulators. And, as recently as March, the group announced it would develop a platform for more efficient securities lending using R3’s Corda blockchain tech.